As the beautiful fall colors envelope Greater Fox Valley, it also means it’s time to prepare your home for the winter ahead. Luckily, weather forecasters are predicting a warmer winter for Illinois this 2018-2019, with more rains but below-average snowfall. Despite this, winterizing your home is still a must if you want to keep it functional and in top condition for a long time. Additionally, the right preparations will help make your home more energy-efficient and prevent a spike in your utilities bill. 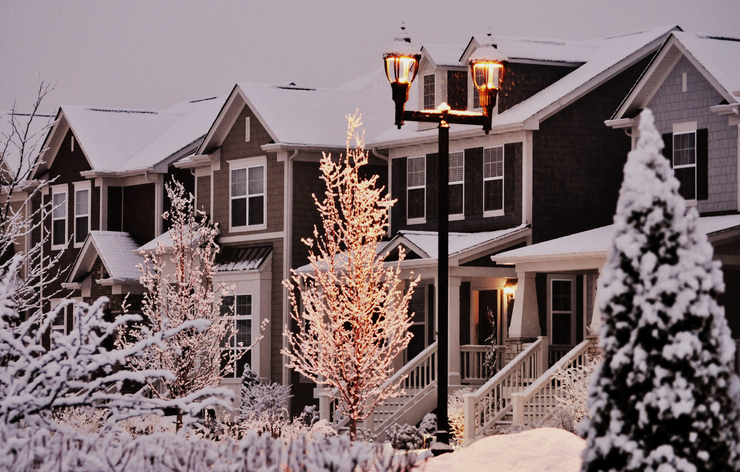 Here are some useful tips on how to winter-proof your home. Clean your guttersDirty, clogged gutters can trap water, which can freeze and seep into your home. Frozen water can also damage your gutters. If you have covered gutters, it’s still necessary to clean away any organic matter or grit from the roof that may have built up. Check your downspouts to ensure they’re carrying water away from your home’s foundation, ideally 10 feet away from the house. Look for leaks and seal themLeaks can cause warmed air to escape, which can lead your HVAC system to work harder. A good way to check for leaks is to hold a lighted candle or incense around places where leaks can form, such as around corners, near pipes, wires, and chimneys, and on windows and doorframes. If the smoke or candlelight flickers or sways, this could indicate a leak. Seal leaks with caulk, weather stripping, and foam fillers. You can also install window insulation and use a thick rug or rolled bath towels to seal gaps under doors. Improve your home’s insulationMake sure your attic floors and basement ceilings are well-insulated to trap warmed air and prevent drafts. Your attic ceiling should have 12 inches of insulation and insulation between walls can also help. If you’re not sure if you need more insulation, have a professional go over your home. Check your furnaceIt’s best to have a professional do a thorough check of your furnace to see if anything needs to be repaired or replaced. If you do it yourself, make sure to change the filters, check the chimney exhaust, and look at the blower and fuel connections. If your furnace is old and needs replacement, consider an energy-efficient model that can save you up to 15% to 20% in energy use compared to standard new models, and about 50% compared to older models. foam rubber sleeves or fiberglass insulation. Clean the chimneyHire a professional to rid your chimney of dirt and soot, which can cause ash buildup and damage the mortar and metal damper. Inspect for missing or cracked bricks, and change a misshapen wood rack. Protect your patio and gardenBring in patio furniture and furnishings, such chair cushions and umbrellas, that can’t stand the winter elements. Cover up metal furniture and grill as they can rust even when painted. Bring potted plants in and box in your raised flower beds. Add fresh mulch around sensitive plants. Be ready with plant blankets in case of frost. Survey tree branches and remove any that hangs close to your driveway or home as they could break from the weight of snow and ice. Reverse your ceiling fansSet your ceiling fans to run clockwise during the winter. This will push warmed air down and help circulate it. Looking for the perfect home in the Greater Fox Valley? Get in touch with Miscella Real Estate here or call 630-232-1570 today.